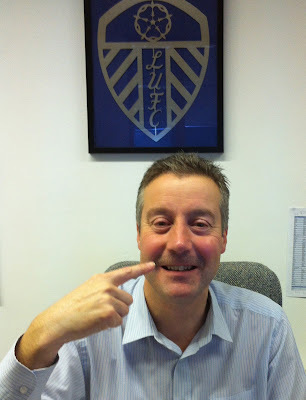 Sidhil News: Clive becomes a 'Mo Bro' for Movember! Clive becomes a 'Mo Bro' for Movember! 1. Each Mo Bro must begin the 1st of Movember with a clean shaven face. 2. For the entire month each Mo Bro must grow and groom a moustache. 3. There is to be no joining of the mo to the sideburns (that’s considered a beard). 4. There’s to be no joining of the handlebars to the chin (that’s considered a goatee). 5. And most importantly... each Mo Bro must conduct himself like a true gentleman!!! Clive, his mucky tash and his prized possession!!! Watch this space for week 2 pictures!!!! !